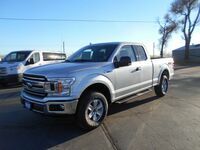 The 2018 Ford F-150 in Ogallala NE is a vehicle that needs no introduction. This truck has long sat at the top of its segment, delivering class leading performance. 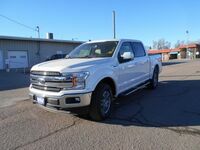 The F-150 caters to its fans, offering a litany of engine options and trim levels that allow the truck to meet the needs of almost every owner. 2018 F-150 models offer three different cab options and bed lengths. The truck is available with regular, SuperCab and SuperCrew cab styles and standard (6 foot 6 inch), long (8 foot) and short (5 foot 6 inch) bed lengths. Six engine options are offered on the 2018 Ford F-150. 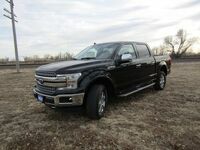 The first engine offered will be Ford’s new 3.3-liter V-6 engine. This engine produces 290 horsepower and 265 pound-feet of torque. Three EcoBoost gasoline engines are offered on the 2018 F-150. The first is the 2.7-liter turbocharged V-6 rated at 325 horsepower and 400 pound-feet of torque. Two versions of the 3.5-liter EcoBoost V-6 will be available on the F-150. The first produces 375 horsepower and 470 pound-feet of torque. A high-output version of the EcoBoost V-6 powers the F-150 Raptor trim level. This version of the engine is rated at 450 horsepower and 510 pound-feet of torque. Ford’s 5.0-liter V-8 engine will return to the F-150 for 2018. The latest version of this engine produces 395 horsepower and 400 pound-feet of torque. In addition to the gasoline engine options, the 2018 F-150 will offer Ford’s new turbocharged 3.0-liter V-6 engine. 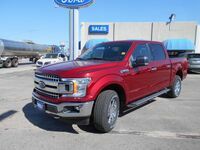 2018 F-150 models are offered in seven total trim levels. 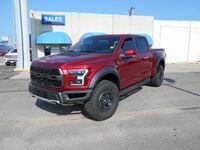 The truck is available in XL, XLT, Lariat, King Ranch, Platinum, Limited and Raptor trim levels. The special Raptor model offers multiple features and upgrades designed to optimize the F-150 for off-road performance. 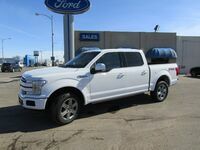 The other F-150 trim levels offer a variety of comfort, safety and technology features. 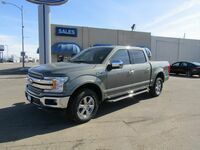 Features offered on the F-150 include the SYNC3 infotainment system, a rearview camera, MyKey parental control, 360-degree camera, Pre-Collision Alert with Pedestrian Detection, Blind Spot Information System, adaptive cruise control with stop-and-go functionality and more.